When Parliament passed the Roman Catholic Relief Act of 1829 many restrictions on Catholics in the Great Britain and Ireland were removed. 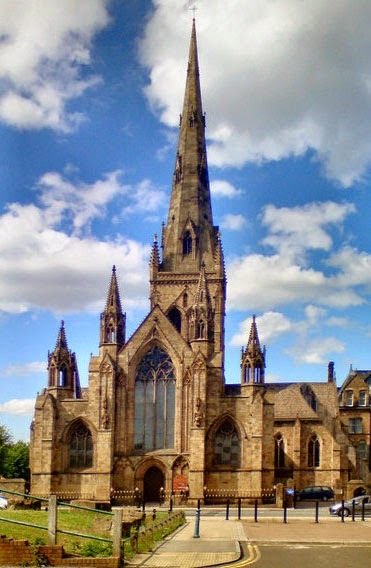 In response, Catholic schools were built, and, in 1848, the Cathedral Church of St. John the Evangelist (Salford Cathedral) opened. 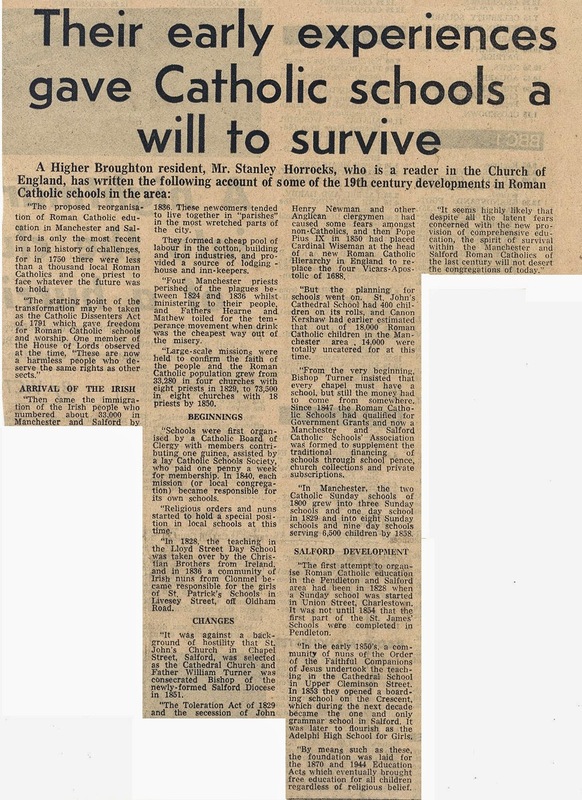 On 29th September 1850, Pope Pius IX created the Roman Catholic Diocese of Salford. The first Catholic Bishop of Salford was appointed on 27 June 1851. As a result of the renaissance of Catholicism in Britain, many of the clergy were recruited from Ireland. The Christian Brothers of Ireland taught in Salford at the Cathedral Boys' School from 1844 until 1852. This was paralleled by the exponential growth of Irish immigration to Britain during the Nineteenth Century. In fact, Lancashire contained the largest Irish population in England. In Salford, the Irish represented between eight and twelve percent of the population. About 85% of this population were Roman Catholics. This, of course, did not happen without sectarian tension. Matthias Gray was a wealthy Manchester merchant who founded the Manchester and Salford Catholic School Society. Its members paid one shilling per annum to fund the running of its schools. Its first president was the Rev. Henry Gillow. On 1 July 1832, the first Catholic school opened in Salford on Factory Lane (off Oldfield Rd), but appears to have moved to Bury Street by 1841. Salford Cathedral. The building and its grounds were purchased by the Order of the Faithful Companions of Jesus in 1852, and became a convent and Catholic school for girls, which was also known as The School by the Irwell. 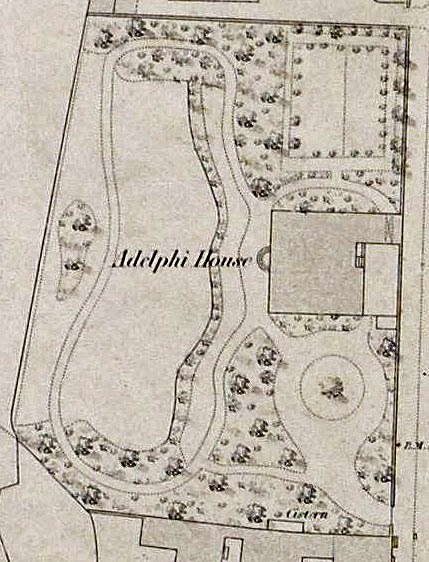 By 1885, Aldephi House was used as a day school, a boarding school and a teacher training college. Internally, some of the rooms were partitioned, a third storey was added, and a convent house was built in the rear in 1888. The school expanded by purchasing other buildings on Adelphi Terrace. The expansion of the comprehensive school system in the 1970s resulted in the closure of Adelphi House in 1977. 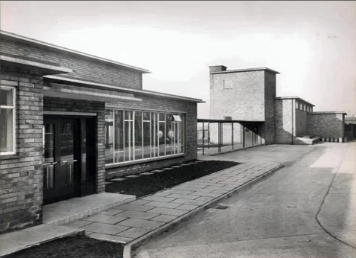 After that, the building was used temporarily to house nurses working at nearby Salford Royal Hospital. Eventually, it was acquired by Salford University and, as of May 2014, is the home of Salford Personal Development and the Centre for Applied Archaeology. See photo 1 ; photo 2. De La Salle College was opened in 1923 / 1924. Recently described as Salford's leading school, it merged with Pendleton College in 1997. This was due largely to the hostile climate spawned by the Further and Higher Education Act 1992. The merger proved to be the first step in De La Salle's ultimate demise. The site of the former De La Salle College was closed at the end of the academic year in 2012. Its derelict premises were allowed to fall into disrepair, and two attempts were made to set the college alight (18 Aug 2014 and 25 Nov 2014). 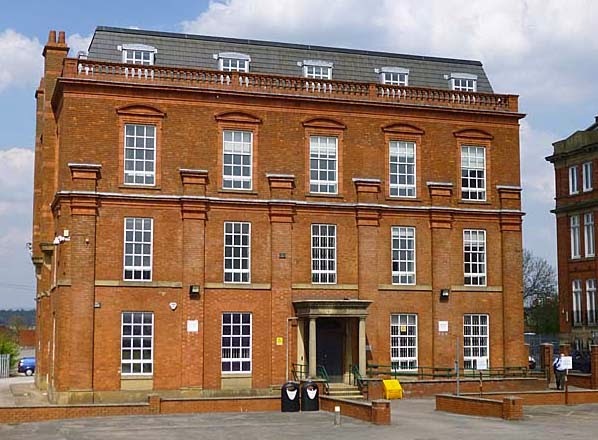 Although Salford Council reverently included De La Salle College's main building on its list of the city's heritage assets, it proved to be of no consequence in saving the building from destruction. 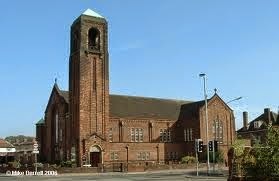 Sacred Heart opened January 4 1965 at the corner of Middlewood and Liverpool Streets. It merged in 1986 with what was then St Lawrence's on Weaste Lane, which opened on 28 May 1960, and is now called All Hallows. Sacred Heart was demolished and apartments built on the site.